For the artist who is just starting to record or for the musician who wants to switch to a new DAW, choosing the right DAW can be difficult. Downloading and installing a DAW, making sure you have the right audio interface that is compatible, possibly waiting for a USB key, and then learning a new program can take a huge chunk of your time. Choosing a new DAW can be a stab in the dark, and you will not know if you are comfortable with a program until you have taken it for a lengthy test drive. Once you have started recording in a program and you have become invested in it, it will be difficult to switch later which makes it even more important to try to choose the right DAW the first time. More often than not, manufacturers will offer a trial period in which you can demo the DAW free for a specified amount of time. Some even offer feature-limited free versions of their software to give you more time to get acclimated to the program. Here we have tried to answer some of the questions you may have, and we have compiled the strengths and weaknesses of ten of the most popular DAWs that are currently on the market. The best DAW will vary depending on your needs, but for live performances Ableton is our top pick. This choice was made partly because it has a unique workflow designed around live performances. I have been recording in my home studio for the past 15 years, and over the years I have tried out Logic, Pro Tools, Cubase, Nuendo, Reason, FL Studio, Ableton Live, Reaper and Studio One. Ultimately I settled on Studio One 3 which I currently use along with third party VST’s and instruments. I record, mix and master my own music and for other artists as well. I don’t work in a commercial studio, but I am a music professional. In the past, I have worked with commercial studios that mixed or mastered the music I was recording, but now I engineer for myself and independent clients. For each DAW listed below that I have not personally used, I have reviewed information that is available online, and I have talked to artists I know that do record with each program. What Questions Should I be Asking About DAWs? There are so many DAWs to choose from, but, when you consider the features of each compared to your needs as an artist or engineer, the list will become much shorter. Different artists or engineers have different needs and operate in different recording environments. How much can I afford to spend on a DAW? Am I going to be primarily recording and editing audio or am I going to be focused on beats and electronic music? Or both? Do I want a DAW that I can use to prepare for live performances? Am I recording in a home studio or am I building a professional studio? Will I be collaborating with other musicians and will my DAW be compatible with programs they are using? REAPER is the only DAW on our list with an open-ended trial period that allows you to use the software without restriction and without having to purchase a license. However, it isn’t actually “free”. It has a $60 discounted license fee if you intend on using it for personal use, and a $225 commercial license fee for professionals (usually those making over $20,000 per year using it). At any rate, the DAW that is going to serve you the best will be the one that you’re most comfortable using. Yeah, I know everybody says this, but there is no such thing as “the best” DAW. That said, here are our picks for the top DAWs on the market. Our recommendation for quality and versatility is the recently updated Ableton Live 10 Standard. 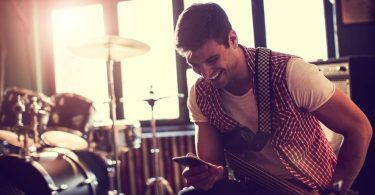 It offers a different workflow and a different focus for users who need a DAW that can be used in the studio as well as for live performances. With this new version, Ableton has of course added quite a few new devices: Wavetable, Echo, Drum Bus and Pedal, along with a new feature they call “Capture“. Capture will remember what you played, match your tempo and timing and play it back for you in a perfect loop. While there are other DAWs that let you do this kind of “skipback” recording, I don’t know of any that can play back your performance in a perfect loop. The UI on their new synth Wavetable is comprehensive and easy on the eyes. I have never found Live’s internal sounds to be great, but this synth has really inspiring sounds right out of the box. I like that this synth has the option to show in a full-screen view as well. 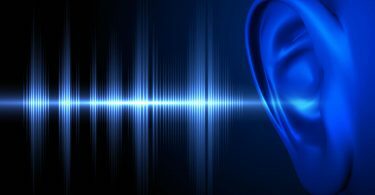 The parameters are so easy to see and tweak and the visual feedback lets you see what exactly is happening to your sound. Live’s browser has favorites now so you can add your go-to VSTs into either the Favorite Synths or Favorite Effects categories to access them quicker. The new note-chasing feature is convenient for when you want to have your MIDI triggered from the middle of a pattern instead of having to go back to the beginning of a clip. Also, you now have the ability you make groups within groups and process group elements individually, in a subgroup or the entire bus. This comes in handy in the event you have a lot of tracks and need to fold tracks together to simplify the interface. Owners of Ableton Push 2 will appreciate the improved integration with Live 10. Now users are able to control parameters of any VST used in Live while it’s in Rewire mode via the Push 2 controller. This also works with Push 1 controllers. Other notable enhancements include the ability to convert audio to MIDI, arm tracks for recording and individual note editing of velocity, note position and length directly from Push 2. This is important because it allows you to do more with Push 1 or 2 away from the computer. Why didn’t we chose Ableton Live 10 Suite? It’s simple, economics. Ableton Live Suite is and has always been prohibitively expensive. In fact, other than Pro Tools, it’s one of the most expensive DAWs on the market. In addition to that, most owners of Suite that I know hardly ever use Max For Live, which is the main reason for having Suite. We wouldn’t recommend that you make such an exorbitant purchase for something that you may never use in any case, which is why we chose Ableton Live 10 Standard instead. Personally, I’ve had Live on my computer for a few years now although I rarely use it and when I do, it’s only for the warping feature which I find to be outstanding. Don’t get me wrong, this DAW is an excellent choice for those who perform live and/or prefer the unique workflow offered by Live 10. Although Intro versions of the program can be purchased for slightly under $100, Ableton Live 10 Standard currently sells for $499.00 on Amazon, and Ableton’s Push 2 sells separately for . Ableton’s website also has a huge selection of plugins and effects packages available that are sold separately. FL Studio was originally named “Fruity Loops,” but they changed the name to FL Studio due to the unlikely possibility of confusion with Kellog’s trademarked Fruit Loops cereal. FL Studio was originally designed as an MIDI-only program but has since expanded to include audio recording and editing features. It is popular with DJ’s and artists who compose electronic music. FL Studio has among other things, a flexible piano roll and lots of automation functions that are incredibly helpful when composing. One of the things I like most is the dark UI. It makes working for extended periods easy as there is very little eye strain. The included sound library is stellar and offers a plethora of modern samples and loops right out of the box. In addition to that, there’s a huge selection of sound library and plug-in preset add-ons available for purchase from the Image Line website. Longtime users always boast about the quality of FL Studio’s plugins which are not only top-shelf but have lovely interfaces in my opinion. They are also available for purchase separately either individually or in bundles from here. The most recent update, FL Studio 12.5, has made many improvements with some added features. It now has multi-touch support and all windows are detachable so you can place them anywhere for more screen real estate. The onboard Keyboard Controller, Envelope Controller, Formula Controller, MIDI Out and Icons have all been redesigned. Out of all the DAWs on our list, except maybe for REAPER, Image Line offers free lifetime updates. That’s reason enough to try it out because you would be getting an ever evolving, professional music production environment to work in for the rest of your life. In case you didn’t know, Image Line recently announced that FL Studio 20 will be released sometime in 2018 to commemorate 20 years of existence in the the industry. It’s available for beta testing now disguised as version 12.9.3. The “Fruity” edition is the least expensive and is currently $109.00 but it does not allow audio recording. The Fruity version is strictly for editing pre-recorded audio tracks and composing and editing electronic music. The next step up, the FL Studio Producer version, is $199.00 currently and allows recording of audio tracks as well as some additional features. 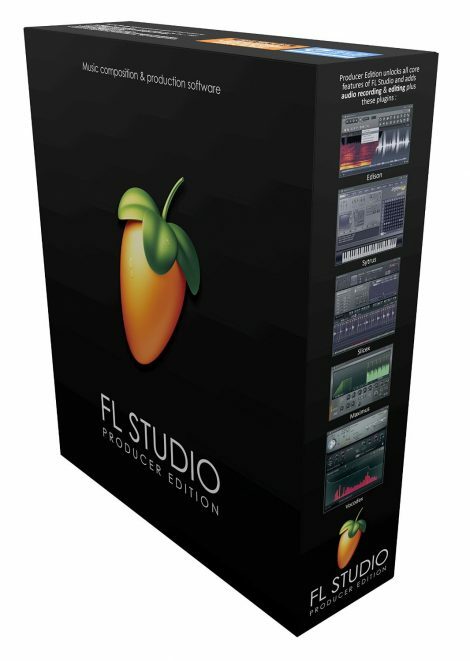 The full version, FL Studio Signature Edition, comes in at just under $300. Ok, so I’m biased with this pick I’ll admit. I’ve been using Presonus Studio One for 8 solid years and watched it develop into the powerhouse it is today. Now, Studio One 3 Professional is one of the top DAWs in the industry and it’s constantly developing. Let’s start with their innovative Mix Engine FX and the Console Shaper. Mix Engine FX uses Presonus’ own State Space Modeling Technology which emulates the character of legendary analog consoles. Basically, it replaces the Studio One 3 pristine 64-bit floating point mix engine with the mix engine of a physical analog desk. You instantiate it on a mix bus and all tracks routed to that bus will be processed individually by the Console Shaper. For more information about the Console Shaper, look here. Studio One 3 Professional is at the time of this writing, the only DAW on the market with a dedicated full-featured integrated mastering solution. 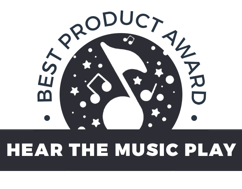 Presonus calls it the Project Page. This integrates with the Song Page in Studio One 3, so that if you are in a mastering session and need to go back to the mix (the Song Page) to fix something, the song file in the Project Page updates to reflect the changes you made to the mix. Then there are lots of other groundbreaking features such as the Arranger and Scratch Pad which allow you to create different versions of your song inside the same session. They work together in tandem and copying a section of your arrangement, a verse for example, into the Scratch Pad allows you to try out different ideas without affecting the original track. The full version of Studio One 3 comes with 45 native effects, 4 virtual instruments, a copy of Melodyne Essential, and over 20 GB of sample and loop content from some of the top sound design companies. Quite a few add-ons are available for purchase as well, the cool thing about this is that they can be purchased from right inside Studio One via Presonus Exchange. Quiet as it’s kept, discussions about Studio One 4 have been going on in the Presonus forums for some time now so keep an eye open because that could be right around the corner. Studio One’s full Pro version sells $399.95for but they also offer an Artist version at $99.95. There is also a limited but free version, Studio One Prime, available for download from their website. 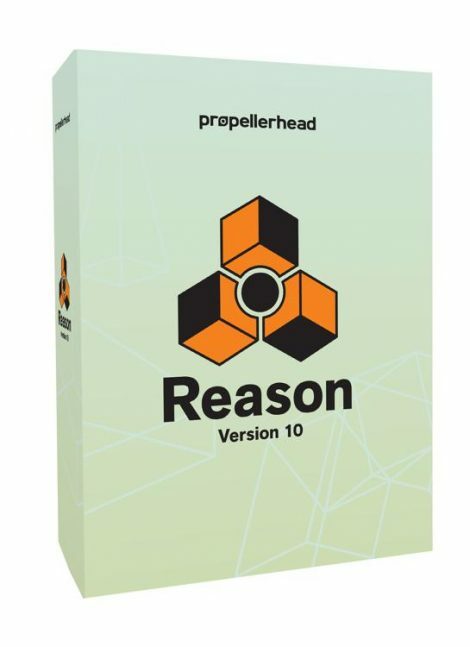 Propellerhead’s long-awaited Reason 10 adds a plethora of new VSTs, sound libraries and features. It’s an excellent DAW for sound designers, producers and beginners as well because of its unique workflow options. Reason can be used as a standalone DAW, or Reason’s virtual instruments can be used in conjunction with other DAWs via the Rewire protocol. For example, if I am using Cubase as a workstation, but I want to use Reason’s instruments, I can open those instruments up inside Cubase and use the two programs together. Although Reason can stand on its own as a DAW, it is known for having some of the best virtual instruments available. I stopped using Reason at version 3 because at that time there was no way to linearly record audio and I felt the sound engine wasn’t heavy enough for the sound I was going for. Suffice it to say, Reason has come a very long way. So much so that I’m thinking about picking it up again. Reason 10 Essentials is selling for Out of stock and the full version of Reason 10 is $227.73. Cubase is one of the oldest surviving DAWs, a MIDI-only version of Cubase was first released by Steinberg in 1989. Steinberg continued to be an innovator in DAW technology by being the first to integrate VST plugins in 1993 and then introducing VST instruments in 1996. The recently updated Cubase Pro 9.5 brings a 64-bit floating-point mixing engine, ultra-precise automation curves, more insert slots with flexible pre/post fader and more enhancements to improve your workflow. 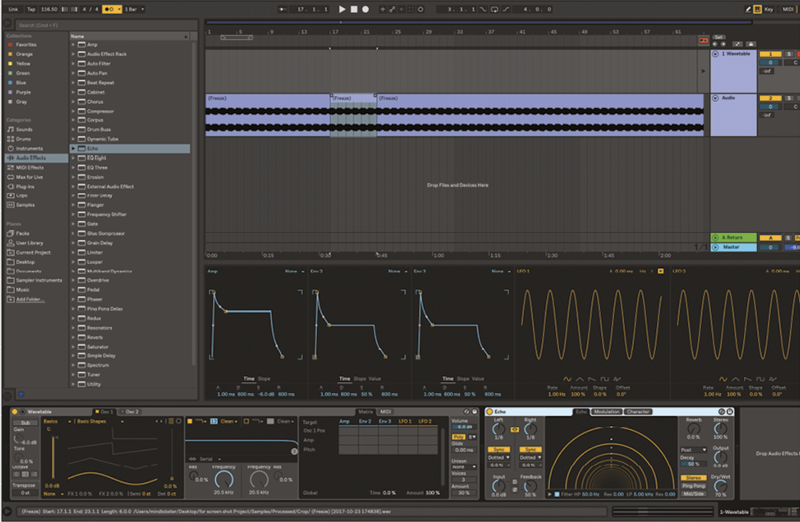 Possibly the most notable addition is the new FLUX Wavetable synthesizer library for the free HALion Sonic SE sampler. The FLUX Wavetable synth provides an additional 100 cutting-edge patches using Steinberg’s latest HALion technology. These patches are based on 70 waves that can also be used to design your own sounds. So this is a great option for sound designers. Softube Console 1, a fantastic control surface by the way, now supports Cubase 9.5. 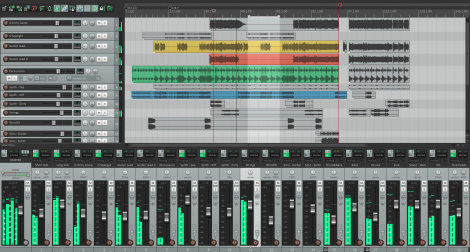 Because of the deeper layer of integration with Cubase, you can now do a lot more without reaching for the mouse. It’s worth mentioning that Cubase also designed MIDI sequencing technology that is still used in most DAWs today. Cubase offers three levels of software for different prices but lacks many of the functions in the less expensive versions. Cubase is as simple or as complex as you need it to be. It’s intuitive design makes it a great choice for beginners, but it’s more advanced functions and powerful engine have also made it the choice of many professionals. Cubase Elements is the most limited version and can be bought for $99.99 . 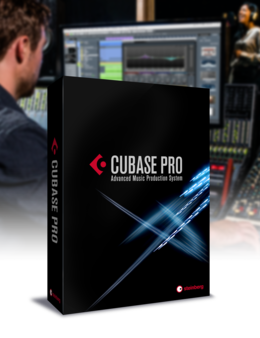 Cubase Artist jumps to $299.99 , and the Pro version comes in at $499.99 . 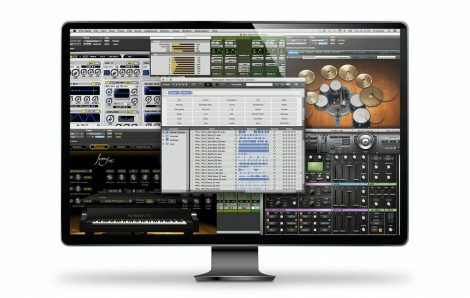 REAPER (Rapid Environment for Audio Prototyping and Efficient Recording) is in my experience the most widely used “free” DAW and is probably the best choice for anyone who is serious about recording and editing music but does not have the resources to buy one of the more pricey programs. This was the DAW I used prior to switching to Studio One. While I found REAPER to be quite capable, it wasn’t suitable for my workflow. However, there were quite a few things I really liked about it. It worked very well with multi-output VSTs, I mean it was so easy working with Native Instruments Kontakt 5 for example. When instantiating it, all I had to do was select how many outputs I wanted and REAPER would make the correct connections automatically and be ready for recording. I also like the fact that there are lots of different skins available for the UI. Although this had no effect on sound quality, it was refreshing to add a new skin from time to time. The native effects, while not great on the eyes, are great in their own right and you don’t have to use REAPER to have access to them. The ReaPlugs VST FX Suite is available free of charge with many of REAPER’s native effects included. How cool is that? REAPER has many of the features and capabilities of the higher end DAWs, but it can be a steep learning curve for someone who is just getting started. It comes with tools for multitrack audio and MIDI recording, editing, processing, mixing, and mastering, and anything that you need but don’t have can be added with third party software. More information and downloads are available on their website. 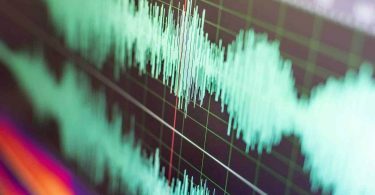 not many cons, if what you are looking for is the best quality in a free or low-cost DAW for home recording and editing. Logic Pro is another well-established DAW that is not only solid, but it is also the DAW built for Apple users. Logic Pro is made by Apple for Mac users, and is a natural progression for users who began with Garageband, a limited but free DAW that may come pre-installed on your Apple computer. You can download Logic Pro X for $200 from your Mac computer on the Mac App Store. I used Logic back when it was Logic Platinum, it was my first DAW. It’s come a very long way since then, but still isn’t my preferred DAW. Logic Pro X sports the typical features of most other DAWs and is said to run smoothly with little, if any, crashes. Lots of producers swear by it. On the other hand I have read lots of complaints about issues with Logic as well as compatibility with a number of VSTs, USB/MIDI controllers and control surfaces whenever Apple has an update. Trust me, you don’t want to find yourself in the middle of a song, staring a deadline in the face when all of a sudden your song file becomes corrupted or won’t open for any reason. Of course, this is the possibility of all music software programs, it’s just that other than Pro Tools, Logic seems to be the one most people complain about for that reason. Logic Pro X is a very capable and professional DAW however and is a natural progression from Garageband for Mac users. We just don’t find anything that makes it stand out among other professional DAWs. Cakewalk Sonar is another old-timer that was first released in 1991. Cakewalk is still a very popular DAW with Windows users, but it is not compatible with Macs which makes it inaccessible for many artists and may cause issues for collaborations with artists who are recording on a Mac. Although there is a bit of a learning curve, Cakewalk can be a good entry level choice for a home studio. It also has most of the tools and functionality of the more expensive DAWs along with some nice extra features like Drum Replacer for cleaning up drum tracks, VocalSync for syncing vocal tracks, and a “Paint with MIDI” function that is useful for composing. In recent months Gibson Brands, the previous owners of Cakewalk Sonar, discontinued the DAW leaving it’s 2.5 million user base out in the cold. Then last month they sold the popular DAW to BandLab Technologies. So Cakewalk Sonar has been put through the ringer and is once again alive and well. Cakewalk is offered in three levels, with some features locked in the less expensive tiers. Cakewalk Sonar Artist is the least expensive at Out of stock. 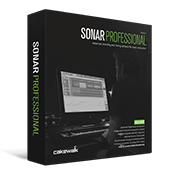 Cakewalk Sonar Pro comes in at Out of stock, and the full version of Cakewalk Sonar Platinum is currently Out of stock. No matter where you look or whom you talk to, you will hear that Avid’s Pro Tools is the “industry standard.” Pro Tools was developed for use by professional audio engineers in a studio setting, and the Pro Tools HD system comes with hardware and software that, along with plugins, should be able to handle anything you need in the studio. On the other hand, most artists setting up a DAW outside of the studio will not need and can’t justify the cost of a Pro Tools HD system. Pro Tools HDX, for example, costs up to $5000 for the software and HDX card but does not include the audio interface or other hardware. For the home recording studio, Pro Tools also offers Pro Tools 12, which includes just the software download and license for $599.00. A monthly payment plan is available. There is also Pro Tools First which is a free download with some features locked. 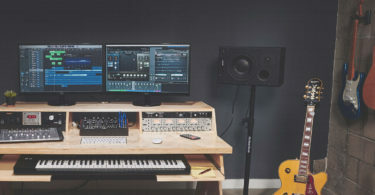 In my opinion and that of other artists that I have talked to about Pro Tools, other DAWs like Cubase, REAPER, or Ableton are easier to use and achieve better results in a home studio setting.